Please Log in to receive a notification when this item arrives in stock. 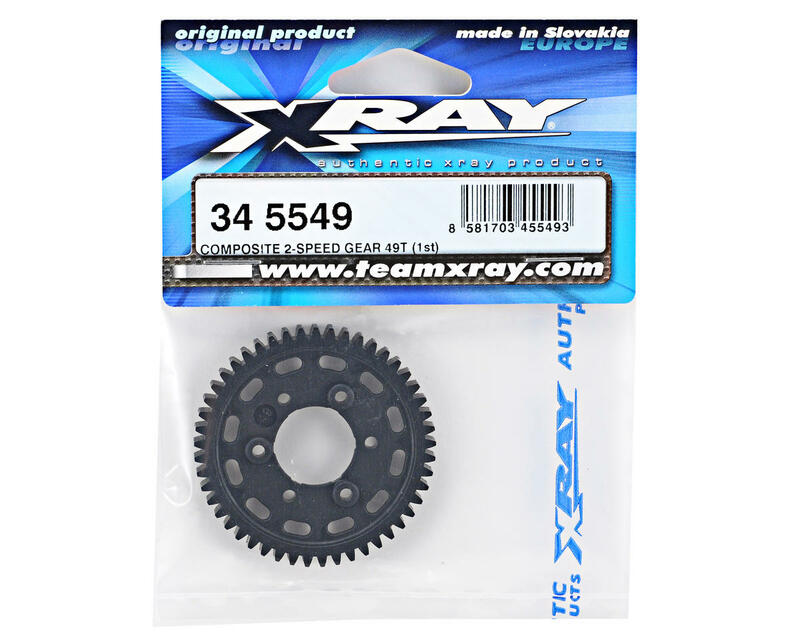 This is a 49 Tooth, XRAY Composite 2-Speed 1st Gear, and is intended for use with the XRAY RX8. This precision-molded spur gear is made from special composite material to provide an optimal balance of hardness, durability, and flexibility for long life, minimal wear, and minimizing breakage and teeth stripping. Strategically lightened to reduce rotating mass, the special composite material will withstand even the most extreme racing conditions which imparts high tension and shear forces on the spur gears. The spur gears are injected in a specially-constructed mold which ensures equal material injection in all areas, for ultra-true and wobble-free performance. 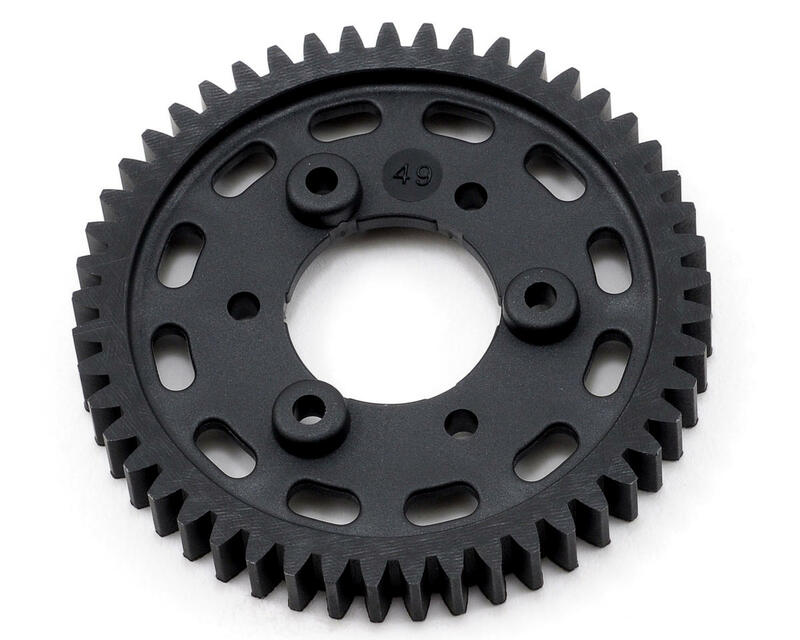 Each gear is stamped with a tooth number for easy identification, and is available in all popular sizes, allowing you to find the perfect gear ratio for any track.